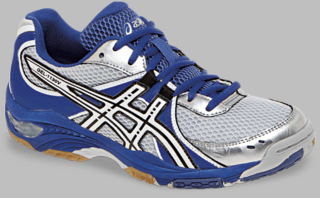 Do you like all the qualities of a great running shoe in your indoor footwear? Look no further. GEL® Cushioning System, an Open Mesh Upper, and Solyte® Midsole Material keep things light, while NC Rubber® soles provide superior traction. Compound containing more natural rubber content than tradional solid rubber, resulting in enhanced traction on court systems.